Asia’s Got Talent star from Taiwan takes the world by storm! Ukulele child prodigy Feng E was born in Taiwan in 2007. In 2017, at the age of 10, he was featured on the television show Asia’s Got Talent, thrilling the audience with a performance of a song he wrote. That prompted lauded producer David Foster to hit the golden buzzer and send him straight to the semi-finals. Even though he’s often referred to as a child prodigy, Feng E’s path to virtuosity wasn’t so easy. The reason he took up the instrument in the first place was because his kindergarten teacher had discovered that Feng E’s finger development was slow; he couldn’t draw a straight line, or form a ball out of clay. His father tried to get him to play the piano, but the youngster lacked both interest and aptitude. When Feng E’s father introduced him to the ukulele, he also resisted. But his father eventually found a way to convince him to practice: he offered to play Legos with him after each lesson, and it worked. To date, Feng E has mastered five musical instruments, starting with the piano at the age of four. He also has numerous compositions to his name. Although he has struggled to keep up in music class at school, Feng E has become a star in the world of ukulele music, performing and winning competitions around the world, in places like Singapore, Malaysia, Japan, China, and Hawaii. 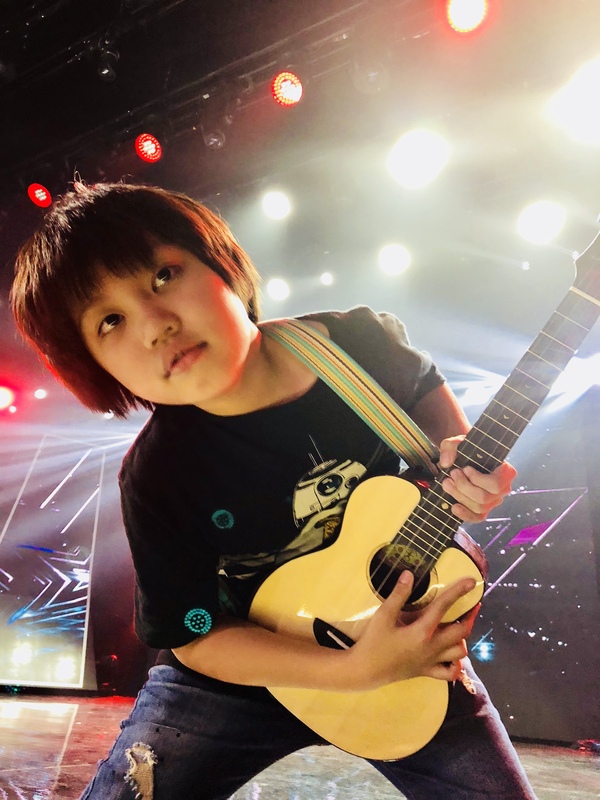 Now at the age of 10, Feng E is composing music for a film score and preparing for the internet release of his first single, “8 Plus”, which will also be featured on a Pacific Rim Music Festival compilation.